AGVs aren’t new. We added adaptability. 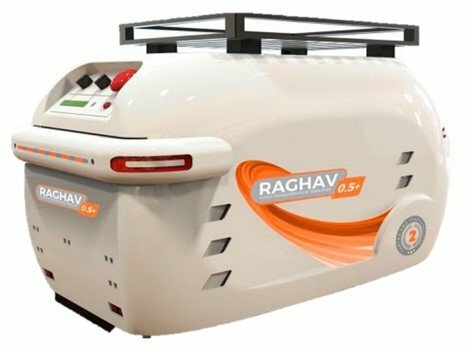 With RAGHAV, we have come up with a new series of Adaptable Auto Guided Vehicles. RAGHAV 0.5+, RAGHAV 0.5 & RAGHAV 1.5 are the first members of the family. 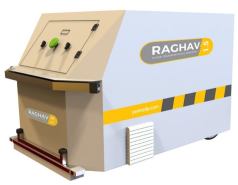 RAGHAV AGVs are designed specifically to adapt to floor conditions that are ordinary or compromised. No more you have to bear heavy expenses for epoxy flooring / PVC coating. Don’t worry even if you have gradients/slopes on your floor. We have solutions. 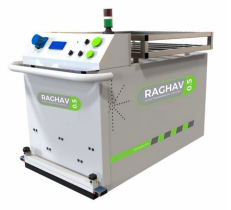 RAGHAV relies on the M-SENSE (Patent Pending)/Colour SENSE path guidance technologies invented in-house. Unlike traditional magnetic tapes or laser guided paths, M-SENSE is 3 times more robust and maintenance free while colour sense offers speedy track implementation & easier expandability. Moreover, the Mobile Application Control adds great value to the user friendliness of the product.